I’ve had a few questions on how to go Fully Raw Vegan so below are a few recommendations for a healthy transition. Clean out your fridge. Make your fridge like new and toss all processed foods. Create a beautiful space for your new fruits and veggies. 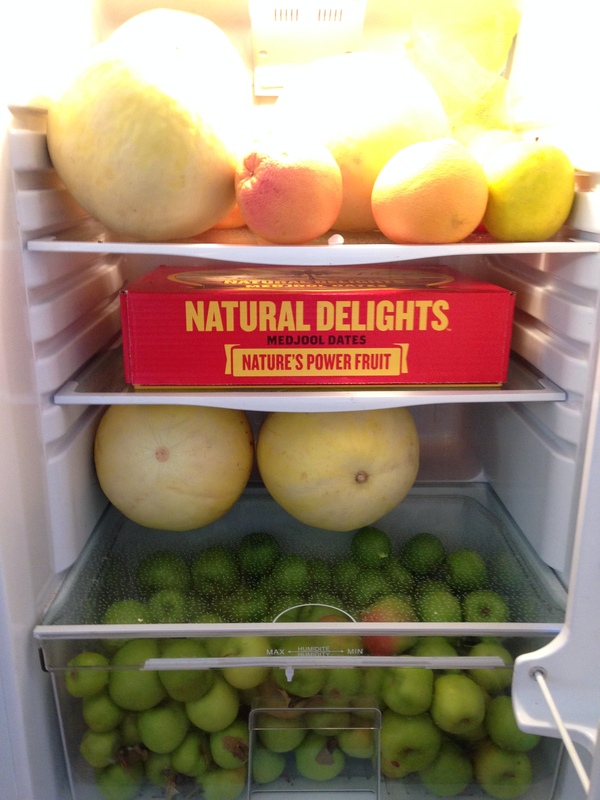 Pack your fridge and counter space with lots of Organic apples, bananas, oranges, dates and melons. These will be your staple foods. Buy a high power blender. This will be your best investment. It will save you time in the kitchen and saves on chewing time too. Check out my ‘Kitchen Essentials’ page for suggestions. An extra tip that is especially important – have compassion for yourself! If you slip up…it’s ok! This is your journey so make it a fun one! Become like the food you eat – healthy, radiant, and pure! This entry was posted in A Fully Raw Experience, Uncategorized and tagged 801010, be the change, food, food is medicine, fruit, fruitarian, fullyraw, healing, nutrition, organic, plantbased, raw, raw vegan, rawfood, vegan, vegetarian. Bookmark the permalink.